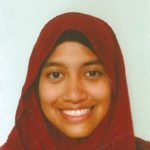 I am Atikah and I work as a case officer for the Family Services Department at the Association of Muslim Professionals (AMP). I feel truly honored to be representing Singapore in the 60th delegation of the IATSS Forum. I am looking forward to meet all my ASEAN neighbours come September. There is saying in Singapore’s national language which goes “tak kenal maka tak cinta”, and it means that we cannot love what we do not know. The diverse and multicultural environment is the most appealing factor that the forum has to offer. Neighbours coming together from vast cultures and societies will provide us all with an education that is unlikely to get in school. There is no substitute for real interaction. This can also be extended to learning the culture and ways of the Japanese. I'm hoping all the exposure would allow me to think outside the box, move outside my own bubble, and always find new ways of thinking and approaching problems. The greatest takeaway would not only be fostered understanding of others’ cultures and beliefs, but also an appreciation of the diversity so that we can truly love our neighbours.